Product prices and availability are accurate as of 2019-04-18 13:15:29 UTC and are subject to change. Any price and availability information displayed on http://www.amazon.com/ at the time of purchase will apply to the purchase of this product. 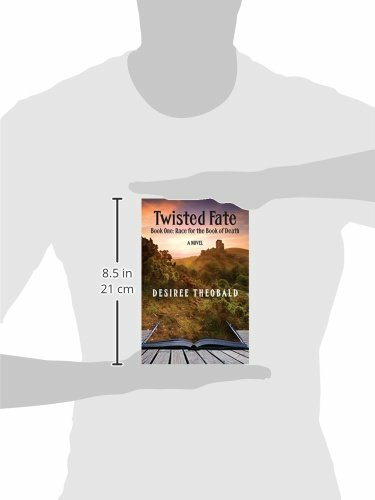 Author Bookstand is proud to offer Twisted Fate, Book One: Race for the Book of Death - A Novel by Bookstand Publishing. Bookstand Publishing offers books by the best indie authors throughout North America and the world. Bookstand Publishing is dedicated to offering original content to a broad audience and promoting great authors, literacy, and freedom of expression. 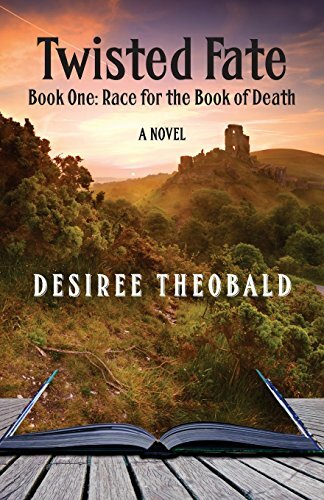 Twisted Fate, Book One: Race for the Book of Death - A Novel has generated a lot of interest and excitement and we think it would be an excellent addition to your library. In this novel, fourteen-year-old Josaphina Milwood learns that her marine biologist parents are lost at sea around the Bermuda Triangle. Now an orphan, Josaphina decides to search for her parents. 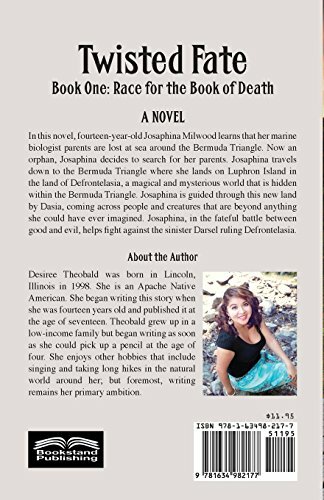 Josaphina travels down to the Bermuda Triangle where she lands on Luphron Island in the land of Defrontelasia, a magical and mysterious world that is hidden within the Bermuda Triangle. Josaphina is guided through this new land by Dasia, coming across people and creatures that are beyond anything she could have ever imagined. Josaphina, in the fateful battle between good and evil, helps fight against the sinister Darsel ruling Defrontelasia.